New Year’s resolutions tend to be so hard to keep because they always seem too far out of reach. This year, don’t set an unrealistic goal for yourself. 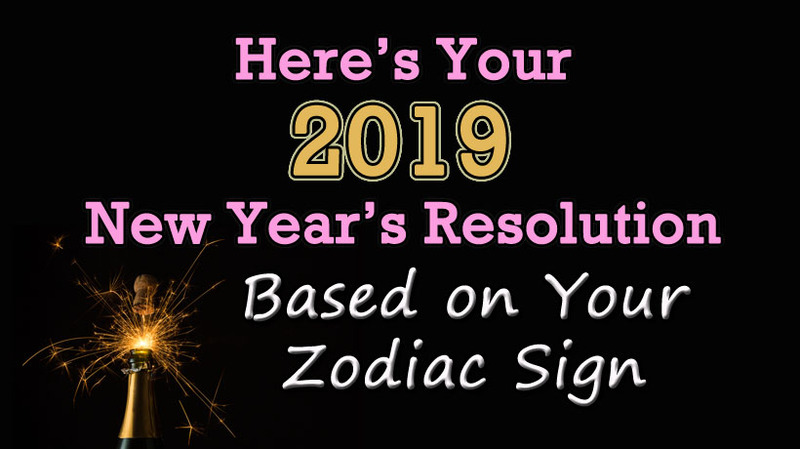 Here is the resolution that will best suit your Zodiac sign in 2019. Aquarius (January 20th-February 18th): Be a hero. Your ruling planet, Uranus, moves through your sector after March, which is especially noteworthy since it is one of the slowest-moving planets. As this is the planet of rebellion, you’ll start to become aware to injustice both close to home and on a grander scale. Let yourself find the courage to stand up for your convictions in 2019. If you vow to make a change, others will be inspired to follow your lead. Pisces (February 19th-March 20th): Focus on career. Jupiter, the planet of wealth and abundance, is aligned with its home sign of Pisces during 2019. When it hits your career sector early in the year, cosmic luck will be on your side. Use this time for career opportunity –– ask for a raise, take on more responsibilities at work, or even apply for a new job. Aries (March 21st-April 19th): Speak up. On February 13, Mars, the planet of energy, action, and desire, enters Aries. As your ruling planet, you’ll notice you have a lot more to say when Mars is close. Now’s the time for your voice to be heard: write that book you’ve thought about for years, participate in community meetings, or even launch a regular Facebook Live or YouTube video to share your insights. Taurus (April 20th-May 20th): Treat yourself. As an Earth sign, Taurus stays grounded with tangible things. Since none of the eclipses affect Taurus in 2019, treat yourself with the one big purchase for which you’ve been saving. Otherwise, indulge in a few more little expenses you’ve cutting back lately through the year –– perhaps a weekly trip to Starbucks to try their new lattes is in order. Gemini (May 21st-June 20th): Settle down. You’re ready for some romantic commitment this year, Gemini. With Neptune, the planet of inspiration, square to Jupiter, 2019 might be the year to delete Tinder, reinvigorate your existing romance, or maybe walk down the aisle. Cancer (June 21st-July 22nd): Keep your friends close. There will be an eclipse in your own sign near your birthday in early July during 2019. This is the perfect time to evaluate the people around you with a new perspective. Perhaps you’ll see someone’s shadier side that they’ve been hiding, or maybe you’ll begin to appreciate someone you’ve looked past before. Use this moment to shed toxic people from your life and be gracious to those who have always been there for you. Leo (July 23rd-August 22nd): Find your new adventure. As a fire sign ruled by the Sun, Leo is fired up this year for adventure. 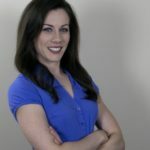 Go beyond your comfort zone and try something you have been avoiding: traveling somewhere exciting, moving to a new city, or even something outrageous like skydiving. Virgo (August 23rd-September 22nd): Don’t resist romance. Venus enters Virgo just before your birthday on August 21, so let romance be your guide in 2019. Don’t think too much about commitment or if he’s the right one; when you feel butterflies in your stomach, just enjoy the moment. Libra (September 23rd-October 22nd): Find work/life balance. As the symbol of harmony and relationship, you been feeling off-color ever since rebellious Uranus has nestled in your sign in 2018. However, with its move to Aquarius starting in 2019, you’ll find the peace you need to reestablish balance. Now that you have your career and family responsibilities sorted, reach out to the friends you’ve neglected recently. Scorpio (October 23rd-November 21st): Get fit. Enjoy the last of your Christmas cookies now, Scorpio. Abundant Jupiter is moving into your health sector starting February 2nd. In order to notice the excess pounds slide off and your energy pick up, you’ll need to start your healthy habits by the end of January. Sagittarius (November 22nd-December 21st): Open your home. Neptune squares your ruling planet, Jupiter, in January and once again in September. During those times, your home may turn into a sanctuary for healing. Any guests you invite to your home will leave feeling rejuvenated off your energy. Try a monthly board game night with your neighbors, or even offering your couch to visiting friends. Capricorn (December 22nd-January 19th): Learn from your mistakes. A partial solar eclipse occurs near Capricorn on January 4, right around your birthday. With this wild card, you may emerge from an unexpected event with a renewed sense of maturity. This year, let your resolution be to learn from these lessons and become even stronger.